It is being developed by American Emergency Vehicles in the US. Since its launch a couple of years ago, Ford Transit Ambulance has become the most popular van for emergency operators in the region. 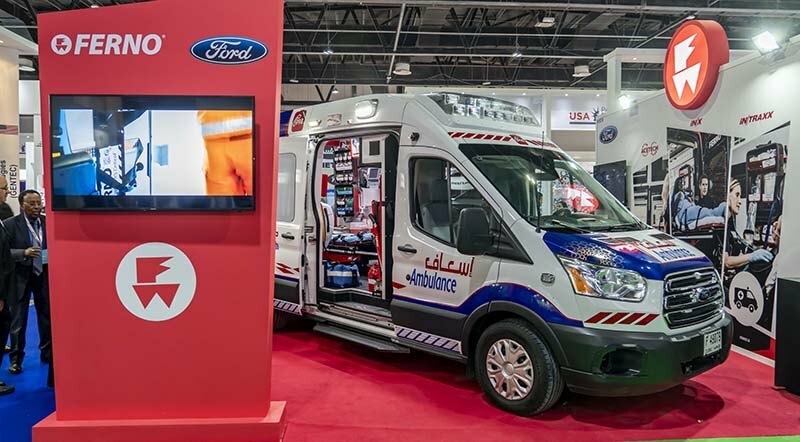 Recently, during the 2019 Arab Health Exhibition in Dubai, we saw three customized versions of Ford Transit Ambulance to meet the needs of operators and provide patients first-class medical services. The first-class performance, class-leading load capacity, unmatched vehicle flexibility, safety ratings, and fuel economy are some of the features, which make it a perfect ambulance. The Ford Transit Ambulance is being customized by American Emergency Vehicles in the US. They install most advanced patient care and safety equipment by Ferno-Washington and telematics systems by Ferno-ACETECH. Here in the UAE, the project is supervised by the Dubai Corporation for Ambulance Services (DCAS) under the Dubai 10X initiative. At the exhibition, we also saw another customized ambulance, called Profile Optimus, which is built on the Transit 350. Created by Finnish-based customizer Profile Vehicles Oy, these are available in two roof heights and three body lengths. Narinder Singh, business development executive for Profile Vehicles Oy, stated: “We have been working with Ford throughout the history of the company but recently we have found the Transit to be one of the most fitting chassis here for the Middle East market because of the powertrain.